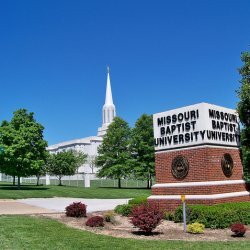 MISSOURI BAPTIST UNIVERSITY was founded in 1963, and is located 10 miles from downtown St. Louis. It is a regionally accredited university. The University is committed to enriching its students’ lives spiritually, intellectually, and professionally, and to preparing students to serve in a global and culturally diverse society. Graduate Enrollment is 1,395 and the Undergraduate Enrollment total is 3,950. 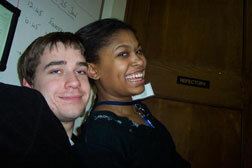 MBU’s student body is 65% Female and 35% Male. MBU's facilities are first-rate and include a brand-new fitness and athletic center, the largest campus coffeehouse in the state of Missouri, and modern living options. 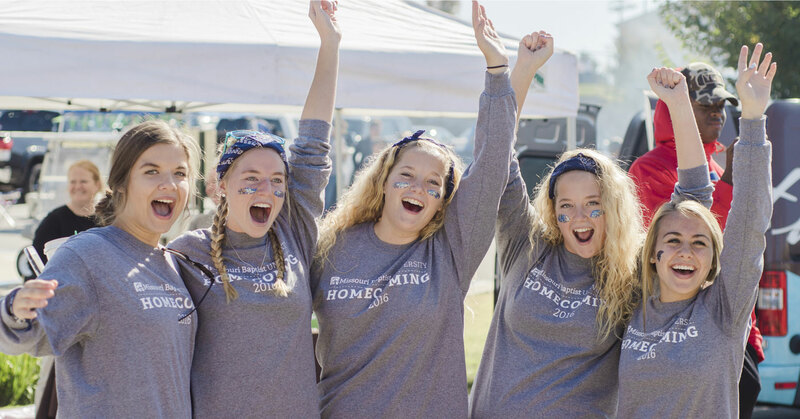 From student-led clubs to varsity and intramural sports, kickball tournaments, weekend road trips, campus ministries, and all that St. Louis has to offer, students have countless ways to connect and take part in a vibrant campus life. MISSOURI BAPTIST UNIVERSITY is accredited by The Higher Learning Commission, a Commission of the North Central Association of Colleges and Schools. The University is approved by the Department of Elementary and Secondary Education and also accredited by National Council of Accreditation of Teacher Education (NCATE) and National Association of Schools of Music (NASM). 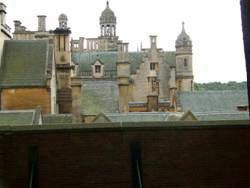 MBU has an on-going relationship with Harlaxton College in Grantham, England. We currently have a student enrolled for study at Harlaxton summer 2007 and three Juniors Kell Kinsey, Lacey Bullock and Jessica Erwin attending Harlaxton together for the fall 2007 semester. 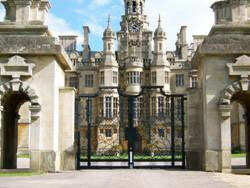 "I'm having a blast exploring Harlaxton. This weekend we played hide-and-go-seek in the state rooms, which was a lot of fun. The Conservatory is beautiful. Although I'm not traveling nearly as much as some of the other students, I'm still exploring quite a bit. 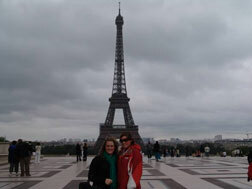 Over the long weekend I'm planning on going to Paris independently. Time is flying by. I am taking a ton of pictures, and look forward to showing everyone once I get home!"